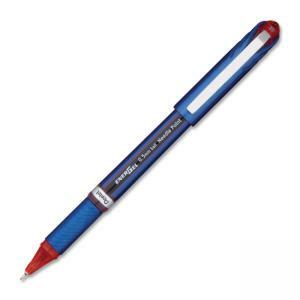 EnerGel NV offers a needlepoint metal tip and a sleek, stylish barrel design for the ultimate writing experience. Quick-drying ink is perfect for left-handed writers and notes written in a hurry. Latex-free grip pampers fingertips for fatigue-free writing. Pen is made of 54 percent recycled plastic, excluding consumable content.